As I've mentioned in a previous post, I got into photography from a fairly young age. I've had a couple of point and shoot cameras before but this is my first 'proper' camera that lets me change various settings and gives the freedom I want. I've owned this camera around 2 years now, so I've had plenty of experience using it for a number of different photography types. This Fuji is a bridge camera with a very similar style to many DSLR's, both in size and features. 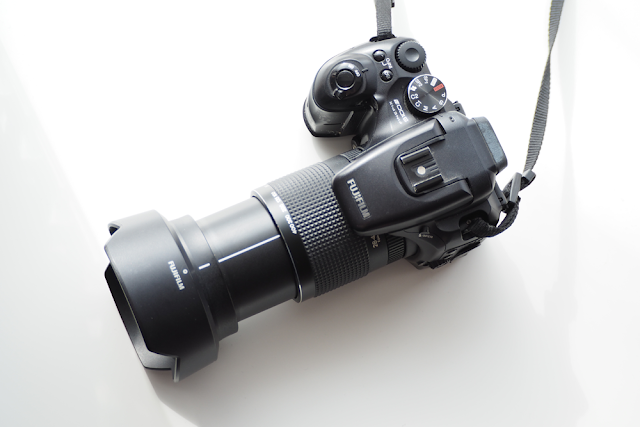 The basic specs include a 14.3x optical zoom (28-400mm equiv. ), a 2/3" sensor and 11 megapixels. You get the option for 2 and 10 second self-timer, it takes an SD or SDHC memory card and at the time of its release it was around £400. You get plenty of features for your money with this camera, including the wide choice of shooting mode. You do get an Auto mode, but if you left it on this you would never get close to testing out the capability of the camera. Other photo modes include: Program, Aperture Priority, Shutter Priority, Manual and Film Simulation Bracketing (FSB). You also get 2 custom modes which let you save your favourite settings so you can switch on and start shooting with your preferred options. There are two scene modes which can be altered to things such as nature, portrait or night options. These can come in useful when you first start, but gradually you will find you don't use these as often and tweak the settings to achieve the same, and better results. There is a movie mode on the camera, which also lets you use the full zoom range while filming which comes in useful as you can get close to the action. There is a drawback with the movie option, as the overall quality isn't up to today's standards of HD. So if you wanted to pick up a camera for recording video, it's probably not the one for you, however if you are wanting high quality photos with the option to occasionally film something this is completely fine. With all these photo modes, you might think it's hard to choose which one to set it on. The most common modes I use are the Aperture Priority and Shutter Priority, as these give me enough freedom to alter either setting. Having the ability to change the aperture lets me get different depths of field including getting that blurry background effect. Being able to control the shutter speed allows you to capture the scene, whether this is freezing the action with a moving subject, or taking long exposure shots such as waterfalls or car light trails. I will use the manual mode when I need to increase the aperture and shutter speed beyond the limits in the other two modes. ISO settings include multiple auto modes, or can be set from 100 right the way up to 3200 for the highest quality pictures, or you can increase it up to the extreme of 10,000 if you drop the quality down to 3MP. This gives you a big enough range for pretty much any situation. The dynamic range settings are pretty decent with the ability to change it between 100%, 200% and 400% depending on the mode you have it set on. This camera is fairly bulky, however I do find this a good thing. For me, its easy to handle and use all the controls, with the barrel zoom being easy and smooth to alter. The buttons are a decent size and are fairly well spaced which avoids selecting the wrong setting. The camera comes up at just under 1kg, so it's not the lightest thing to carry around. I do think this weight does represent how well built the camera is, as everything feels solid right down to the button and controls. It has a fairly decent electronic viewfinder and you can pick out a fair bit of detail. The screen is 2.5" and is tilt-able which comes in very handy, especially when taking overhead shots or ones if I've got it mounted low down on a tripod. It's got a built-in pop-up flash which seems to be good enough for what I need, although I don't tend to use it that often. 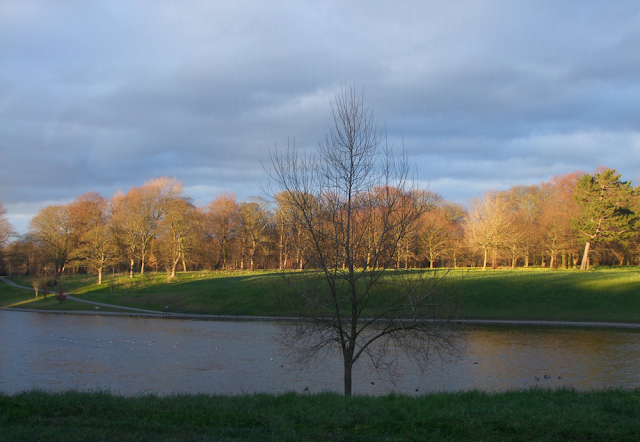 These are a range of photos I've taken with the camera, and show the kind of photos it can produce. It can take some brilliant photos, across a number of different situations. I've included a photo of some Nyx products, and another of an Olympus Pen that were taken on my camera for Laura's blog. These show to capability to take product photos as well as more landscape based ones. 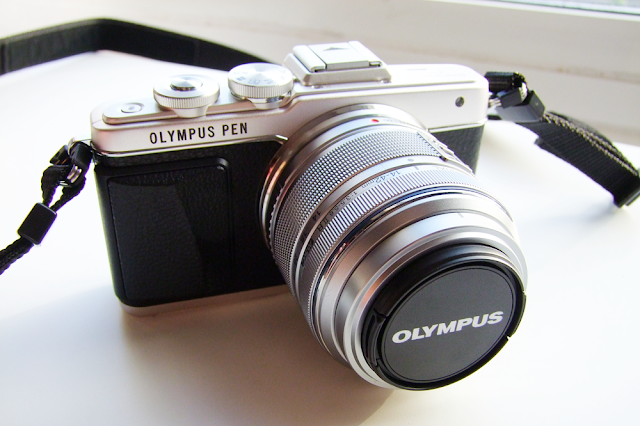 Overall, this is a brilliant camera that is very capable in a number of situations. Being a bridge camera, it's a great all in one with a capable zoom range that doesn't require switching between lenses. It has a good range of shooting modes that go from ones that are automated and tailored to specific scenes, up to full manual controls so you can have freedom to alter the settings to achieve exactly what you want. Like I mentioned at the start of this post, this camera is now a discontinued model, so you can only buy it second hand, however if you were wanting a Fuji similar to this but a new camera you could always see what models they have brought out. 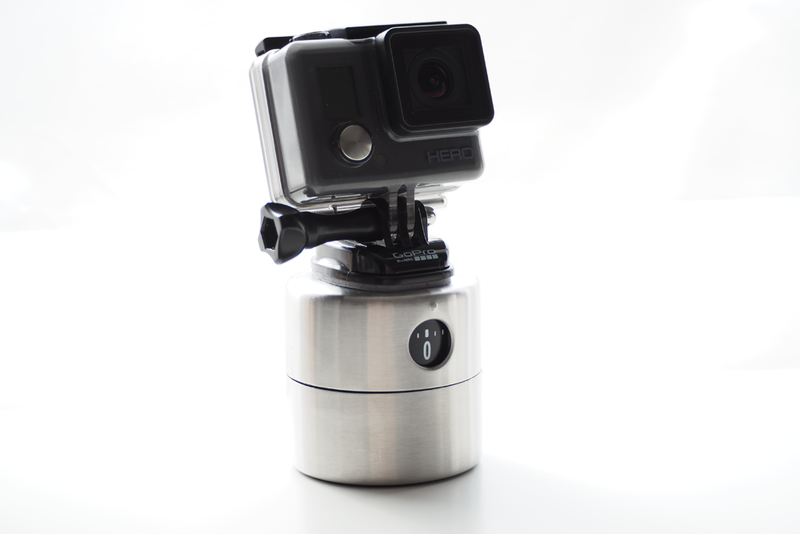 If you liked this post, you might also like my GoPro Hero Haul and 8 Quick Tips For Blog Photography. I use blogger to host mine it seemed the most straightforward and easy to use. At the moment, blogger is completely fine for what I need as it does the coding for me and lets me arrange my blog how I want. I would like to be self-hosted one day when I've learnt more about coding so that I have more freedom with my my layout and other features. 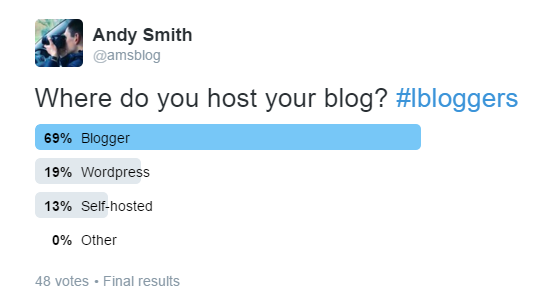 I think this is what I expected from the results as I've seen a lot of people's blogs on Blogger. I guess the popularity for this platform is because its so easy to use which is what people would be looking for when they start up. I did get some feedback that people may want to make the switch from Blogger to WordPress because of the added features. 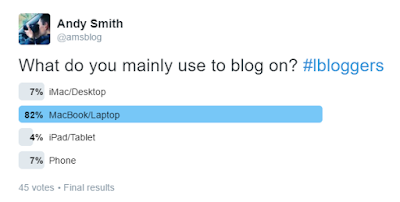 I mainly use a laptop as I can currently do most things I need to do for my blog such as editing photos and writing posts. I do sometimes use my iPad to write up post ideas, as well as editing short videos in iMovie. At some point in the future I would like invest in a Macbook and possibly an iMac to improve my blog and make things easier. I think this represents the majority of bloggers as the MacBook/Laptop is much more convenient when it comes to writing posts etc. I think the price tag of the iMac would be an issue too, as I'd love to own one but its just not realistic at the moment, so this may prevent more bloggers using one. 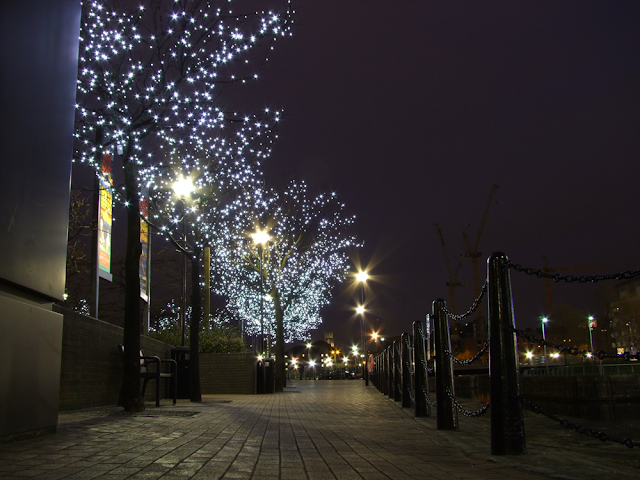 I use a Fuji S100FS bridge camera to take most of my photos and it is great for what I want. It has very similar controls and settings such as a full manual option, to that of a DSLR, which lets me adjust the camera to get the photo I want. 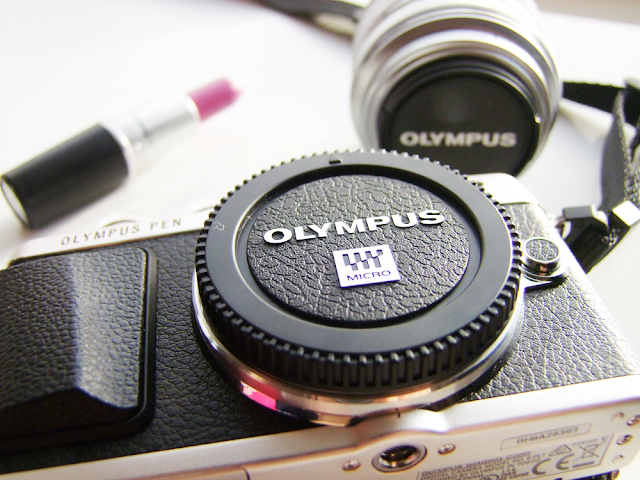 I occasionally use Laura's Olympus Pen to take some product photos, and sometimes use my GoPro for lifestyle & travel photos. 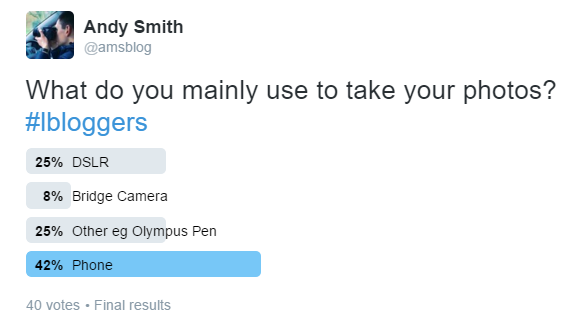 I was a little surprised by these results as there seems to be quite a spread across the options. 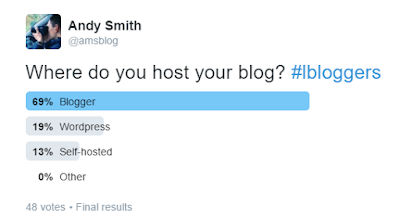 Looking at the answers, I don't think it fully represents bloggers as a whole, but this would require a lot more responses. 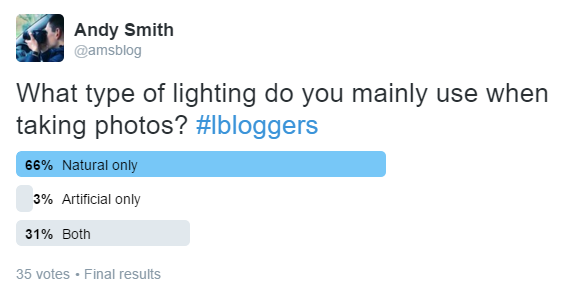 It is still interesting to see from this small poll that nearly half of the people use their phone to take photos. In some ways its not that hard to believe as the quality of cameras on phones nowadays produce some impressive results. Most of the time I only use natural light to take my photos. I used to use a desk lamp all the time, but have now found natural lighting results in much better photo quality. I will be soon getting some Softbox lights which replicate natural lighting, so I will be able to take photos at any time of the day. I'd say this is roughly what I expected as shooting in natural light often provides good enough quality for blog photos. I think artificial lighting such as Softbox ones may seem to expensive to some, although you can get them cheaper than you may think. 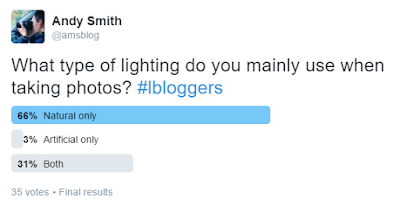 Another issue preventing some bloggers using Softbox lighting may be the lack of space, as these artificial lighting lamps can be quite bulky. 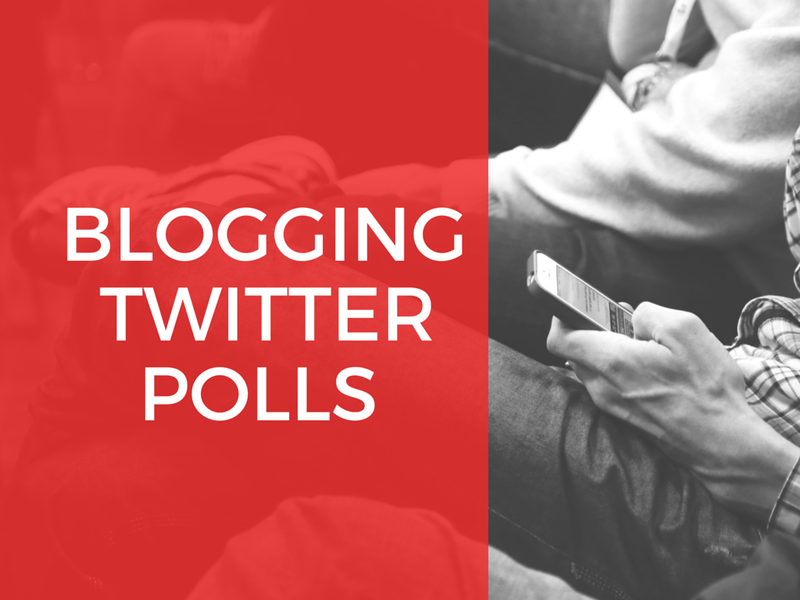 It was interesting to see the responses to these blogging related polls, and I like seeing what other people use for blogging in comparison to myself. Are there any specific reasons you choose one option over another? Let me know in the comments. If you liked this post, you might also like 8 Quick Tips For Blog Photography and 8 Apps I Use For Blogging. I have always liked taking long exposure shots and thought I'd put together a tips post for taking these kind of photos. 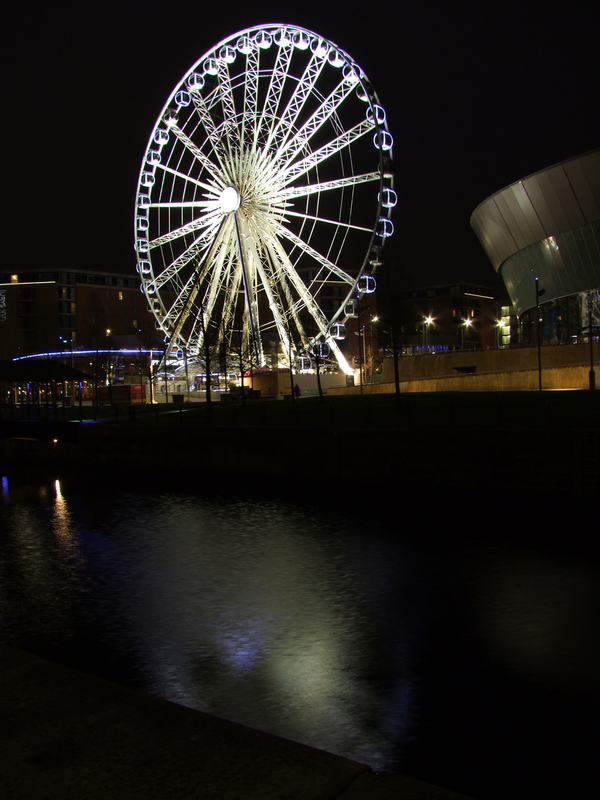 I went out to the Albert Dock in Liverpool a few days ago and managed to get a variety of photo including a blurry effect of The Big Wheel which I was really happy with, so read on to find out how I got these shots. 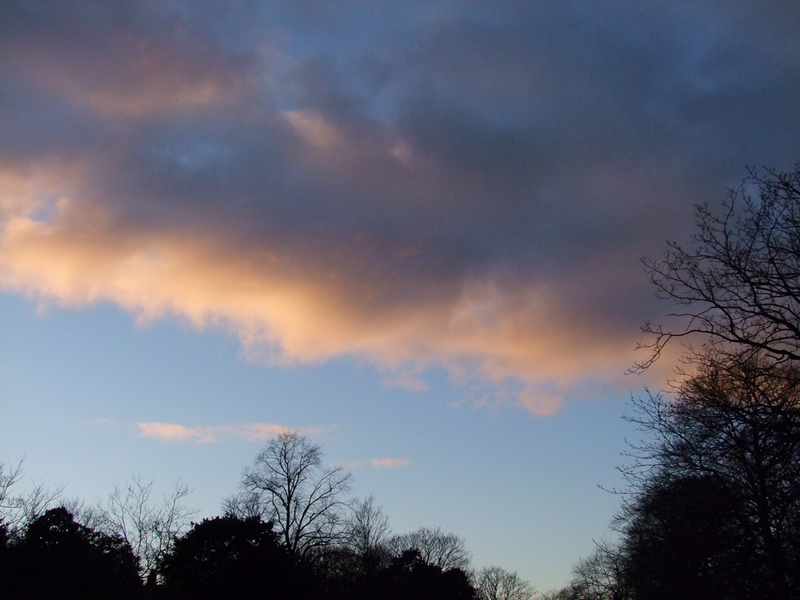 I was using my Fuji S100FS camera which has a number of different settings to help tweak the camera to enable me to get these photos. For all of the photos in this post I had the camera on the Manual setting. It isn't essential to use the manual mode, but it will be more likely to produce the best output. 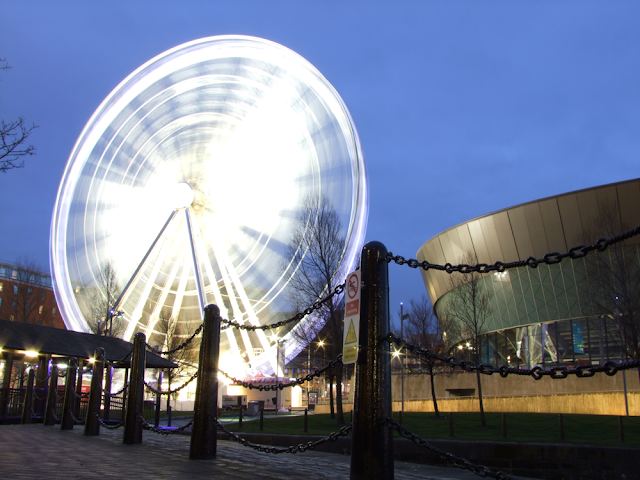 Your camera will have to have the ability to alter the shutter speed and aperture in order to get a long exposure shot. I've included the values I used for each photo so you can get an idea what you might need to set your camera on for a similar type of photo. An essential piece of kit is a tripod. You need to have the camera set in the same position without moving at all for the duration of the shot, or you will have a very blurry image. I was using my trusty Joby Gorillapod SLR-Zoom which let me wrap it around the railing posts as you can see above. Don't worry, you don't need a fancy tripod and you can get them a lot cheaper than you probably think, such as my full sized tripod, the Hama Tripod. To get these two photos below, I set a slower shutter speed, which also meant I needed to narrow the aperture (increase the f number) so there wasn't too much light getting to the sensor which would result in the image being far too bright. In general, if you are going to have a slower shutter speed, you will need to narrow the aperture, and vice versa. Sometimes you will need to just experiment with the values until you get a photo you are happy with. 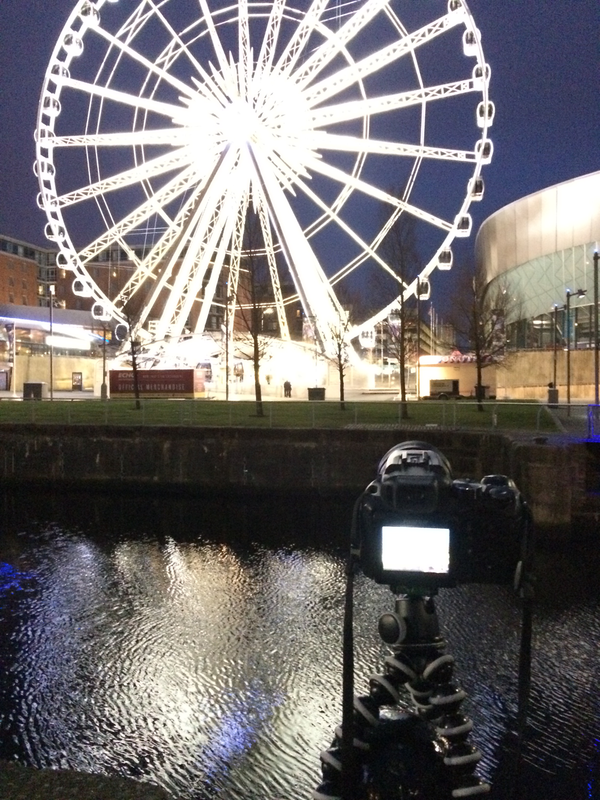 If you don't want to capture a moving subject at night, you still need to alter the settings to allow enough light in to the sensor. 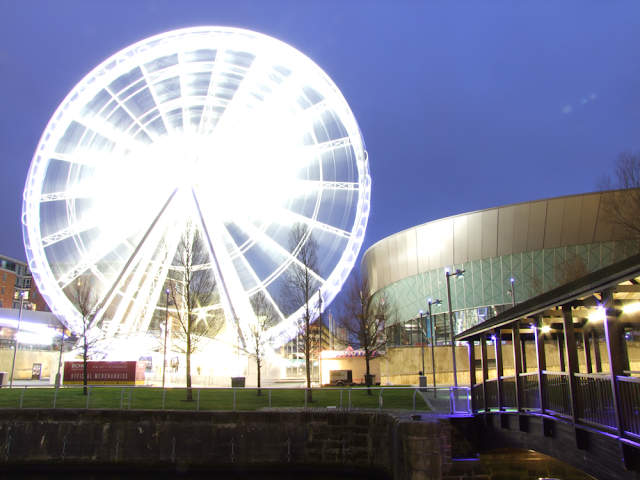 For this photo below, I took it while the wheel had stopped moving, so I could still use a fairly slow shutter speed so the photo wasn't too dark. As I was using a slower shutter speed, I had to compensate by narrowing the aperture (to a higher f. number). The photo below required changing the settings again as it was taken while the wheel was moving. As I didn't want a blur of the wheel this time, I needed to use a quick shutter speed as you can see below the image. As there would not be as much time to let the light in, I needed to widen the aperture so it came out okay. These three photos below demonstrate the need to change the settings depending on what kind of scene you are shooting. Although the photo below seems to have lots of light in it, most of it was quite a distance away, which meant I needed to use a slower shutter speed to give enough time for the light to enter the camera, as it would have been far too dark otherwise. To balance this out I narrowed the aperture to prevent it being too bright. For both of the photos below, I used the same settings as they both were a similar kind of scene with lights down one side and a dark area in the other part of the shot. It took a bit of trial and error to achieve the photo I wanted to balance out the lighting conditions so you could still see the detail in the dark areas while representing what the lights were actually like. For all of the photos I took, I used quite a low ISO value for how dark the scene was. 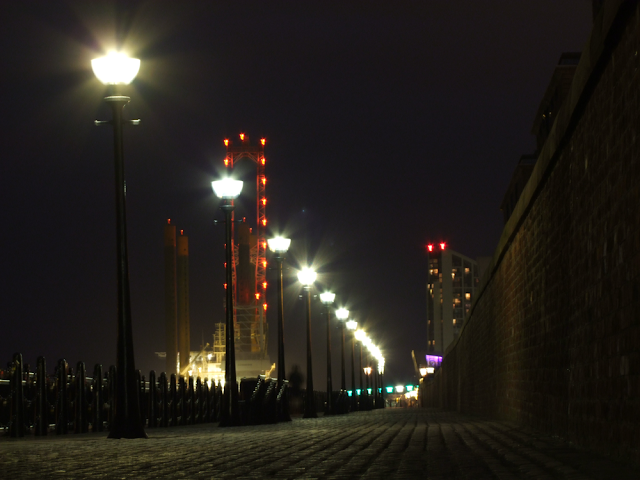 Another method you can use to improve your photos at night is to increase the ISO. The higher the value, the more sensitive the camera is to light. 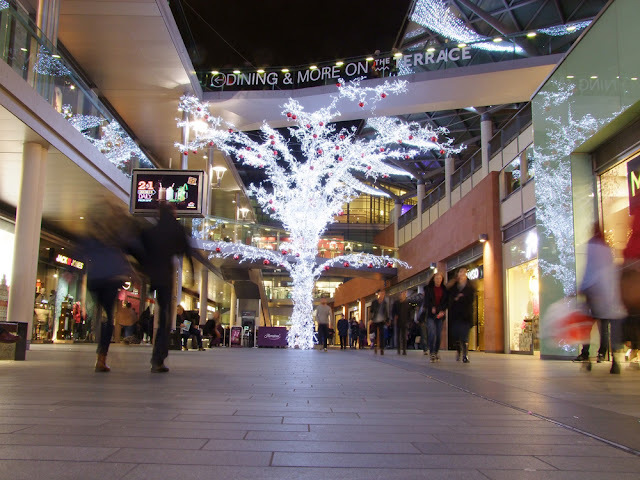 This does come with a downside as you can often get an increase in 'noise' in the photo, which is when the image looks grainy and not quite as sharp. For that reason I tried to keep the ISO as low as possible to get the best overall photo quality. I hope this quick guide gave you an idea of how you achieve good photos at night, including capturing movement and getting the blurry effect. The best advice I can give is to learn how to alter the settings on your camera, and then just go out and practice, as this seems to be the best way to improve your ability. If you liked this post, you might find my Photography Tips for Beginners post useful. There seem to be a number of YouTubers and bloggers that now live in Brighton or are wanting to move down there. This has meant there is plenty of footage and pictures of the area and gives you an insight into what it's like to live in the town. It seems like the perfect combination of a coastal town that still has enough things to do. I've been up to the Lakes a couple of times but never had a chance to properly explore the amazing scenery. The first time I went up was for my dissertation research and the second time I went to Center Parcs in Whinfell Forest. I'd love to go back up for a week in a little cabin and travel round the different lakes and go and see the great views. I think the Lake District would also give a bit peace & quiet and the chance to get away from the busy world we live in. I have seen so much about the different things to do at this coastal resort, but never had the chance to go and visit. Since moving to Liverpool, it's much closer to travel to Blackpool so I'll be definitely making a trip up the coast when the summer arrives. 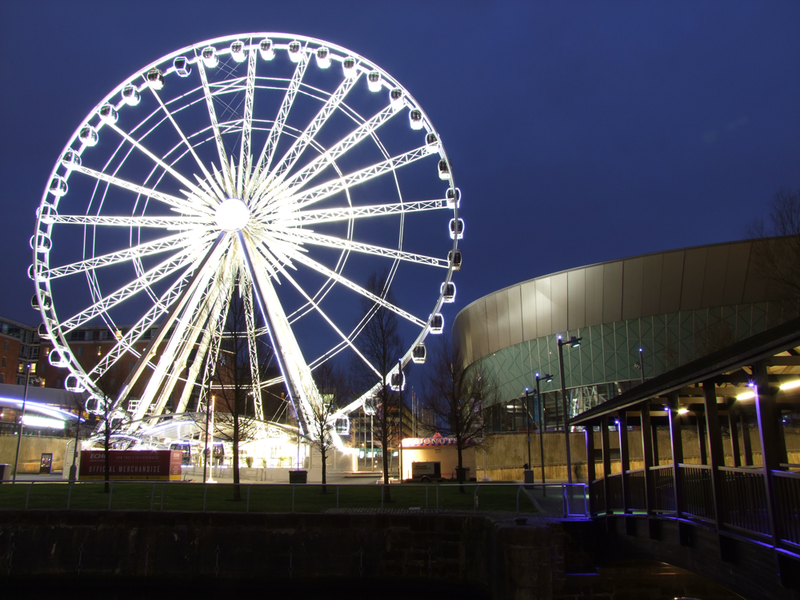 Some of the attractions include the Blackpool Tower, Pleasure Beach and Madam Tussaud's which would keep you busy all day, never-mind if you wanted to chill out on the beach. I've been down to Dorset and Devon on holiday years ago, but never ventured down as far as Cornwall. I know it would be a very long drive to get down there, especially with the small country roads as you get closer, but I think it would be worth it for holiday. I wouldn't mind too much where in Cornwall I would go, as long as it had a nice beach. I think I'd like to give surfing a go, although I'm pretty sure I would be terrible! I've never been to Northern Ireland before and would love to go at some point. There seems to be so much culture to be part of, such as the many different types of music it boasts. It has countless pubs with a variety of atmospheres to provide something for everyone's taste. 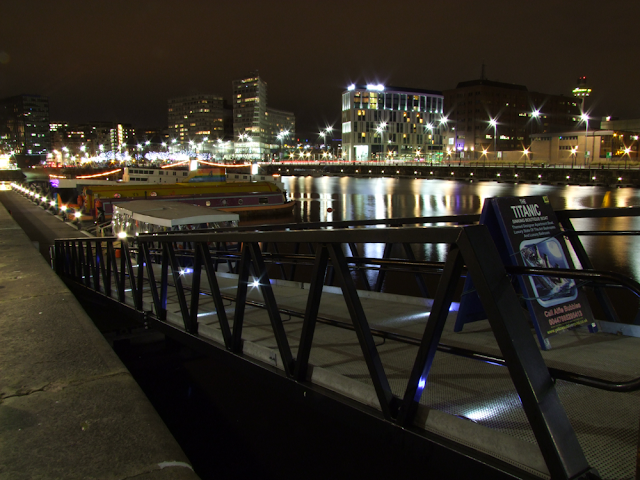 It's also got the history as the place the Titanic was built and has the worlds biggest Titanic museum. I'd also like to go and see the Giant's Causeway over there to explore the coastal landscape. I've been to Wales a number of times now, but have generally only visited places in the south. I've heard that Llandudno is one of the places you need to need to visit if you ever go to Wales. It looks such a nice little seaside town that isn't full of amusements, or has been run down like some other coastal towns. I'd love to go for a week away here in the summer to enjoy the scenery and explore the area, including the close town of Conwy, that has historic landmarks such as the medieval castle. I visited a few years ago with my parents, but age that age, I think I was too young to appreciate what the historic town had to offer. I'd like to go back and fully appreciate it, as there are plenty of things to do including the famous roman style baths. The town is also full of some great architecture which would make for a good photographic opportunity. I'd also like to visit Stonehenge, and seen as it's under an hours drive from Bath, it would be a good chance to see this iconic landmark. So these are some of the places I'd like to visit in the UK. 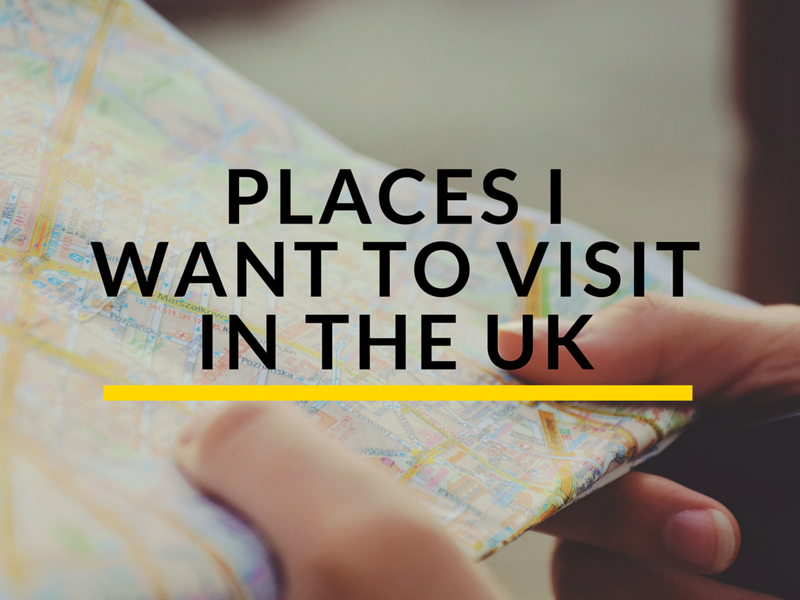 If you liked this post, you might also like 5 Places to Visit in the North West and Travel Ideas. I've been into photography from a young age and have experienced using a number of different cameras. My Dad taught me a lot about cameras and I've learnt a lot of skills from him which have come in very useful. There is always room to expand your skill set, and blog photography can often present new situations such as flat lay product photos. 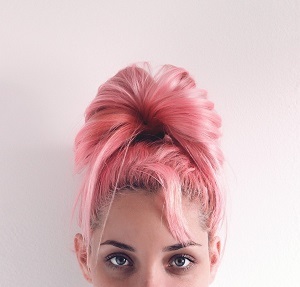 Having been blogging around a year and a half now, I've had enough time to shoot a variety of situations. This is my main camera I use for the majority of my photos. It's a bridge camera that's packed with plenty of features. 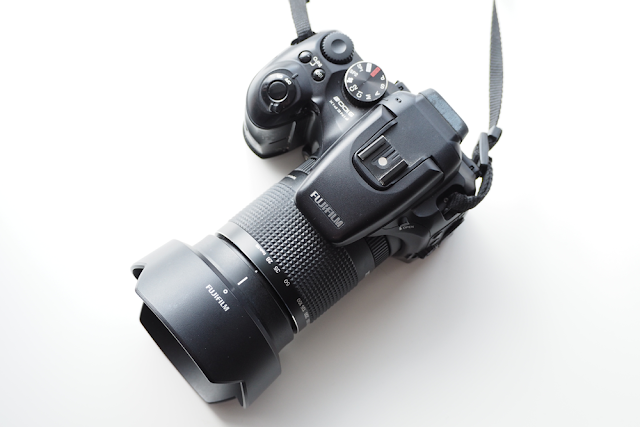 It's similar to some of the entry level DSLR's in terms of capability and photo quality, as well as it's size. This is something I like as it makes it easy to handle and feels a solid build. It has a fair few different modes alternating between aperture, shutter speed as well as full manual mode which allows for better controls of your photos. This camera is now discontinued, but it was around £400 to buy new, however I was lucky enough to be given this camera by my Dad a few years ago. I was very grateful for this as it's a brilliant camera. I bought this last summer and have now got a few different mounts for it which allow me to use the camera in different situations. For capturing photos, I tend to use it on The Handler mount or attached to my Gorillapod using the tripod mount. It gives a great wide angle view which brings a different perspective with the photos it produces. 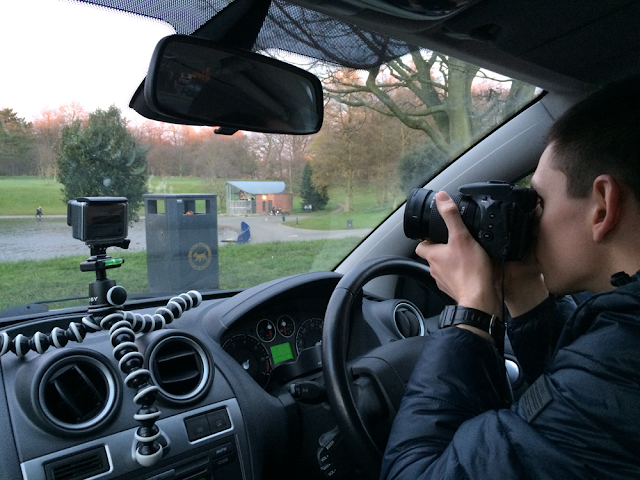 I've also used it to film a few lifestyle and travel bits, such as my trip to Knowsley Safari Park. As it's so small and versatile I'm going to take it with me for future trips including going to Los Angeles next month. I've captured a few time-lapses which gives a unique look at longer term changes such as sunsets and moving clouds. A quick tip here, if you want to shoot panning time-lapses, buy an egg timer from IKEA (£6) and attached one of the flat adhesive mounts to the top. I've only had this tripod since Christmas but it has already been used quite a lot of times and I take it with me when I know I'm going to be taking photos. 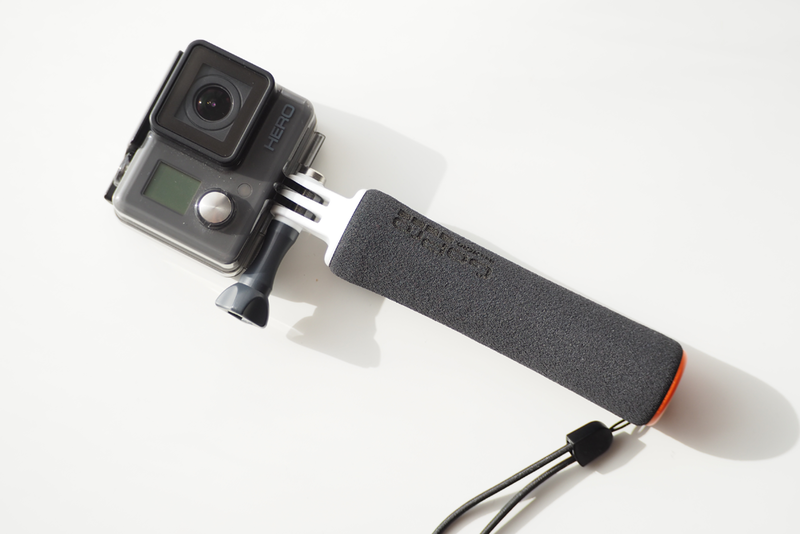 I bought this version as it can hold my big Fuji as well as the GoPro. It has a ball and socket attachment on the top which includes a spirit level and quick release mount which makes lining up photos a walk in the park. 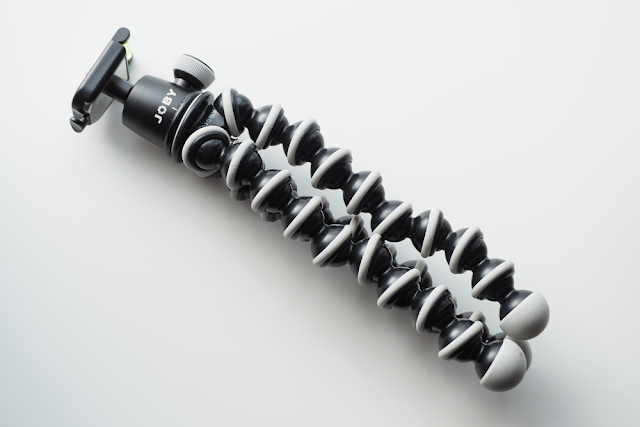 Being so compact and lightweight it's the ultimate travel tripod. Laura managed to get this on a great deal last Black Friday and she absolutely loves using it. Occasionally I will borrow this for taking more product based photos when doing flat lay type shots and the quality is very impressive. It also has some amazing art settings which you can have a play with for more creative shots. If you want to see some more detail about it, check out her Olympus Pen post. 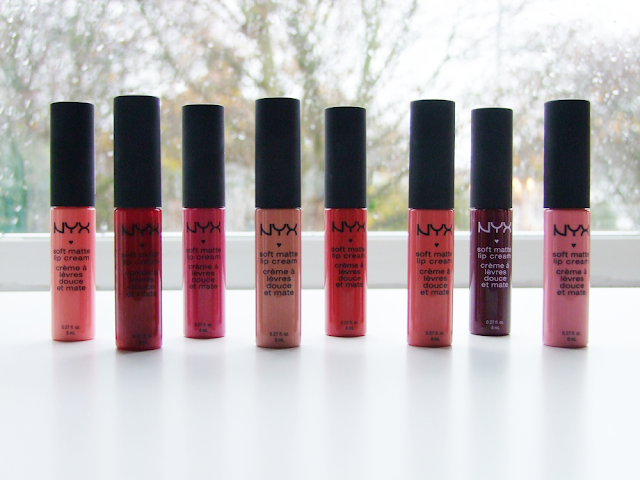 For taking these type of product photos, I use the top of an IKEA Kallax Shelving Unit in white. This gives a very neutral and professional looking background and allows for the photos to be bright. It's a blank canvas that leaves the focus on the object you're photographing and it's wipe clean which is great as it ensures a clean surface. I've got 4 of these tiles that can be slotted together to provide a larger background area. They were £2 per tile from B&Q and come in a number of different styles, so you can easily pick up different designs without breaking the bank whilst giving the illusion of a professional, expensive background. Lighting is a key part of photography, whether you are shooting indoors or outside. When taking photos inside, you have more control of the lighting. I've taken quite a lot of product photos and it's good to see how much I've improved since I started. One piece of advice I would give, is to use natural light whenever possible. If I do need additional, I don't use anything fancy, just a small IKEA desk lamp which emits a decent white light. If you want some more tips for photography check out my 8 Quick Tips for Blog Photography and Photography Tips for Beginners posts. 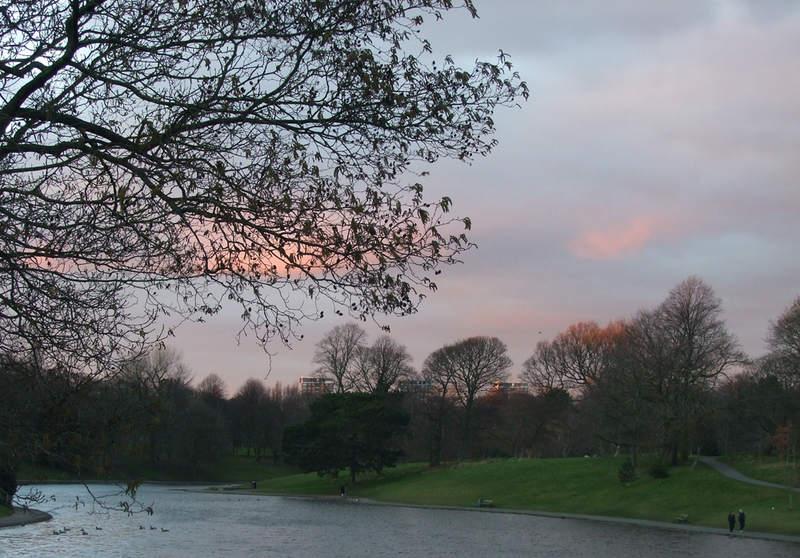 I thought I'd put together this photography post after a spontaneous trip to Sefton Park. I was driving home yesterday and noticed the cool skies, so ran in, grabbed my cameras, and heading out to capture the sunset views. 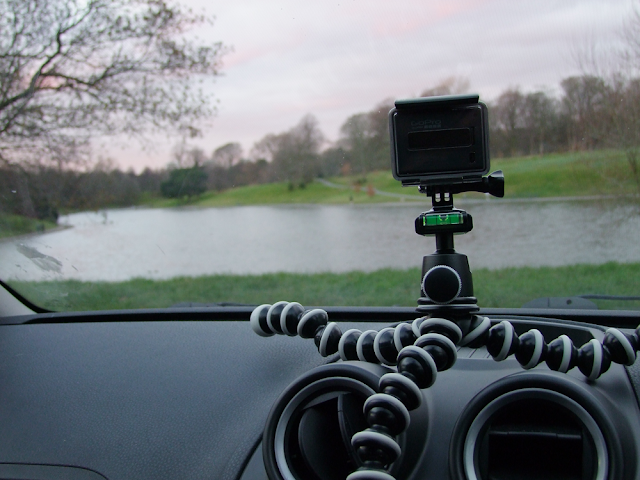 To capture the time-lapse I used my GoPro and Gorillapod mounted onto the front of the car. 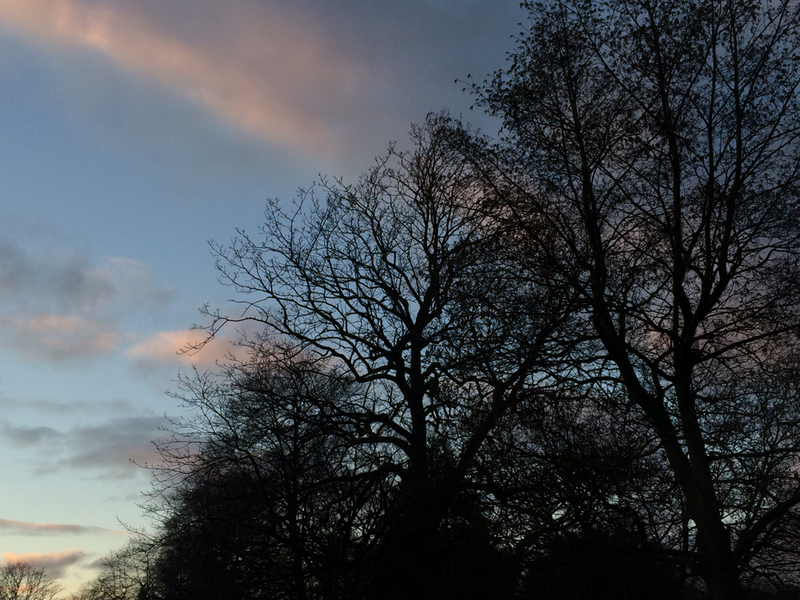 Seen as it was really cold out, I opted to reside in the warmth of my car to get my shots. This panorama was captured from my iPhone and shows the views of the sunset across the lake. 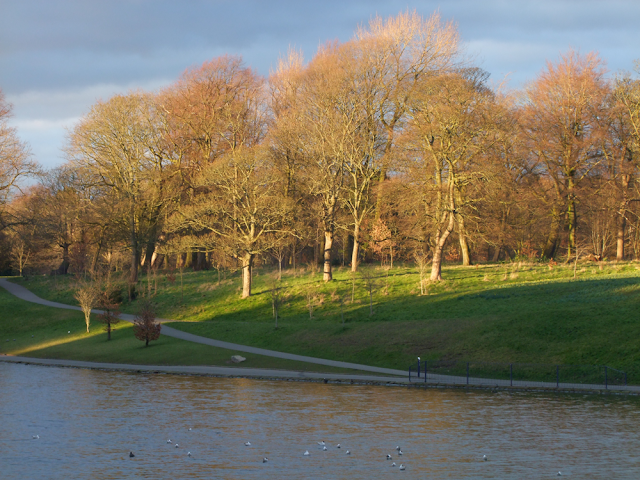 If you want to see some other areas of Sefton Park check out my Photography Afternoon post.